Schedule in time for food or bring snacks along with you. There is no way you will see all the shows you want to see. Most importantly, there is a tremendous amount of talent in the Twin Cities. I have had the pleasure, and in some cases the displeasure, to attend over a dozen shows so far. Here are my thoughts. Tyler Michaels, Lucas Vonasek, M. J. Marsh, Tyler Mills, and Joe Rapp have amazing charisma and rapport with each other. Allen Voigt, the dungeon master, does a great job keeping the story rolling—literally, with his 20-sided die. The cast uses the arena-style space at Theatre in the Round magnificently. I love improv, but I’ve never been a fan of the audience frantically yelling words at the actors; luckily, in this case, it was a one-word request at the beginning of the show, with the rest of the improvisation coming at the mercy of the die roll. You don’t have to be a Dungeons & Dragons fan to appreciate the ingenuity of this show, but it definitely helps. This show was not originally on my schedule; the short description on the Fringe site just didn’t catch my attention. However, at my daughter’s request we made a last-minute change and attended Death in Yosemite. I’m really glad we did. 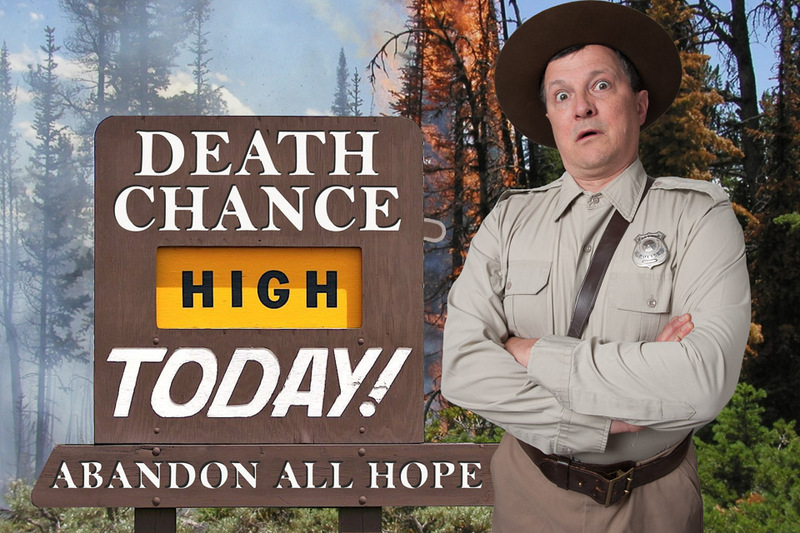 In the show, a park ranger tells a series of real-life stories about how different individuals have died over the years by not following the park rules. Sounds boring, I know, but the current group of hikers find themselves acting out these stories and the results are hilarious. Lots of props and audience participation are involved—sit in the front row and you may be handed a water gun (and yes, you will get to use it). Right off the bat, this show has mass energy using every bit of the arena theater that continues throughout the show. I’m not a huge fan of romantic comedies, but this postwar love story has the right amount of both genres to make me love it. Plus, who doesn’t love an adorable mime? 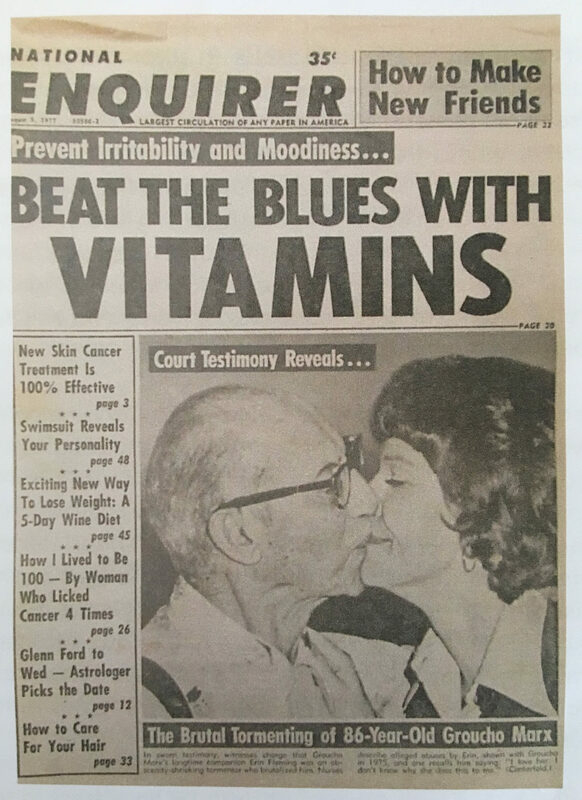 This dramatic story of the abuse of Groucho Marx by his secretary and companion, Erin Flemming, is the only non-comedy to make my top five list from the weekend. Although the story itself is dark and disturbing, there is the perfect amount of comedy. It’s hard to not fall in love with Ari Hoptman’s Groucho—he is funny and charming and interacts with the audience without hesitation, as though it were part of the script. The whole cast really grabs your heart with their emotional performances, which is exactly what I want from a drama. I feel this show could easily become a longer production, filling in some spots where they had to jump ahead to a different time. 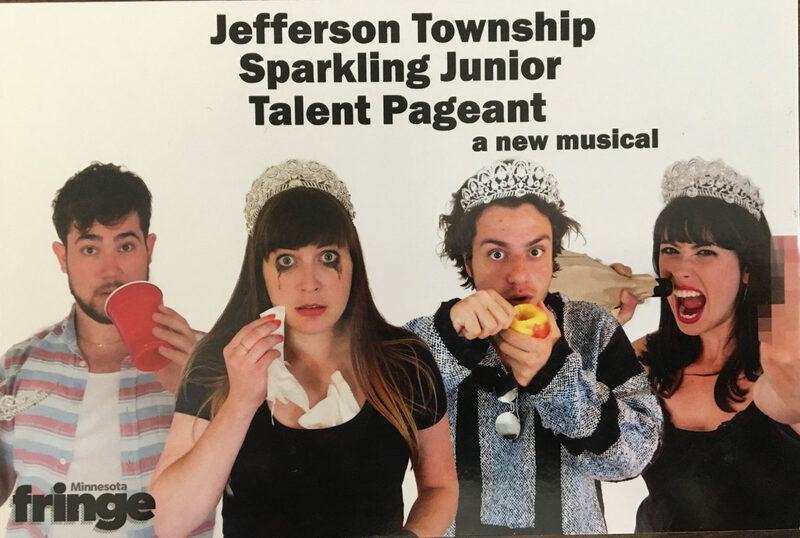 Put a pageant queen still clinging to that fame 20 years later, an unmotivated 28-year-old who never left his parents’ basement, and that one girl from high school whom no one ever remembers in the midst of a midlife crisis; add hilarious music; and you have the Jefferson Township Sparkling Junior Talent Pageant. Very energetic, immature humor, and great music. The crowd at the performance I attended really got into the music, clapping along and even doing some head nods. I especially like the use of live musicians over recorded music. 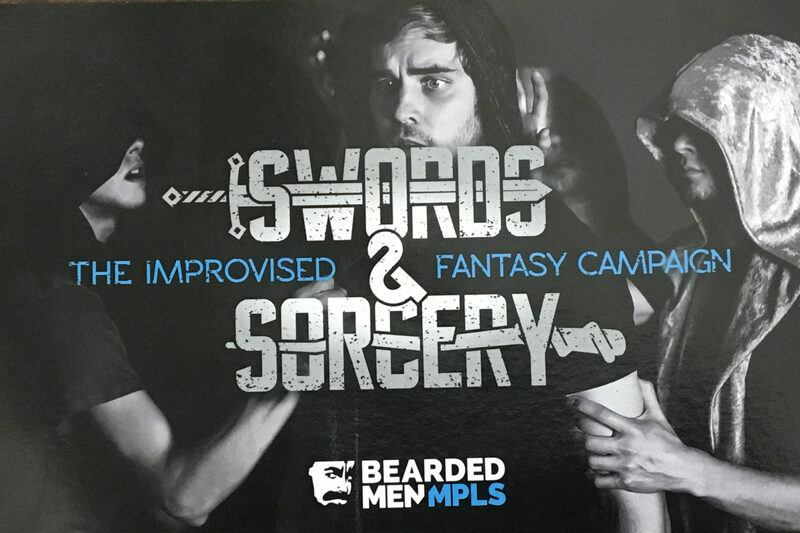 This production is a really funny mashup of Samuel Beckett’s Waiting for Godot and Gary Gygax, the father of Dungeons & Dragons. You don’t necessarily need to know who either Gygax or Godot is to enjoy these monsters. Christopher Allen is the star and villain of this one-man comedic show, which uses Greek mythology to tell a self-deprecating love story while adding original music and a bike. If you like spy parodies, this is a show you should see. Although it was a little difficult to completely follow the story—all actors played multiple characters only changing their accents—it was still brilliantly fun. A thought-provoking show about two sisters who talk to ghosts. Wondering why that one light is so bright over the Minnesota Fringe sign outside of the Theatre in the Round. There were only a few shows I didn’t enjoy. Thor: Jurassic Park spent way too much time on scene transitions and failed to grab my attention, plus one run-crew/actor who chomped on gum the whole show was a huge distraction anytime he was onstage. Rumpus is a cute dance about Where the Wild Things Are but wasn’t my cup of tea—small children would probably love it, but my teenager didn’t. The Tragedy of Obi-Wan Kenobi was a mess from the beginning. Obi-Wan in his quiet, monotone voice spoke at great length, which failed to keep my focus; I found myself checking my watch often and spending time looking at the audience members. I wasn’t sure whether it was supposed to be a parody, recreation, or reimagining. I still have over 25 shows to see on my schedule, though I know there are a lot of great ones I will miss. I definitely recommend catching some, if even just for one night. 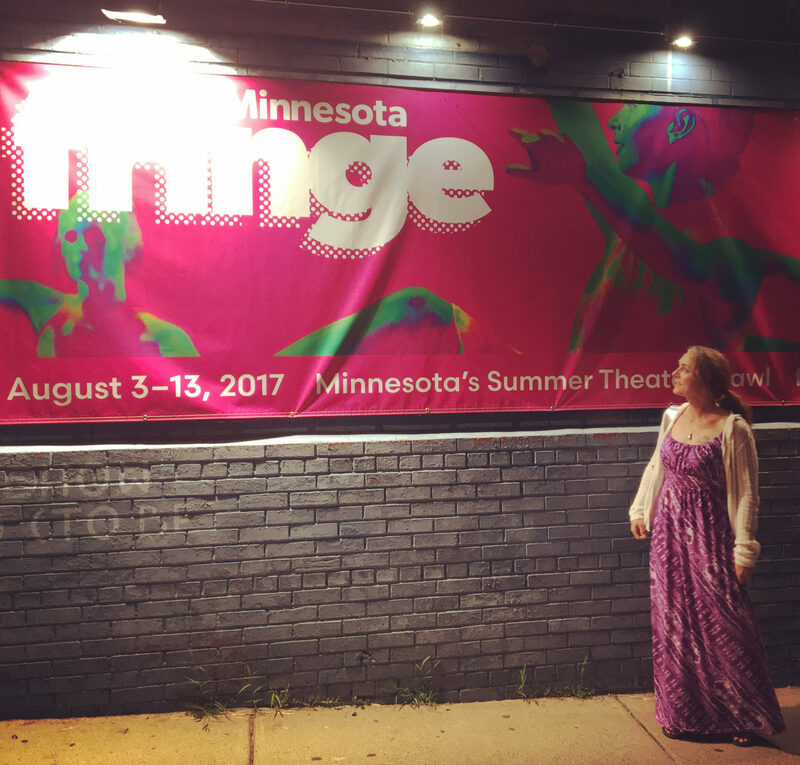 Find all the information you need on tickets, schedules, and venues on the Minnesota Fringe Festival website.